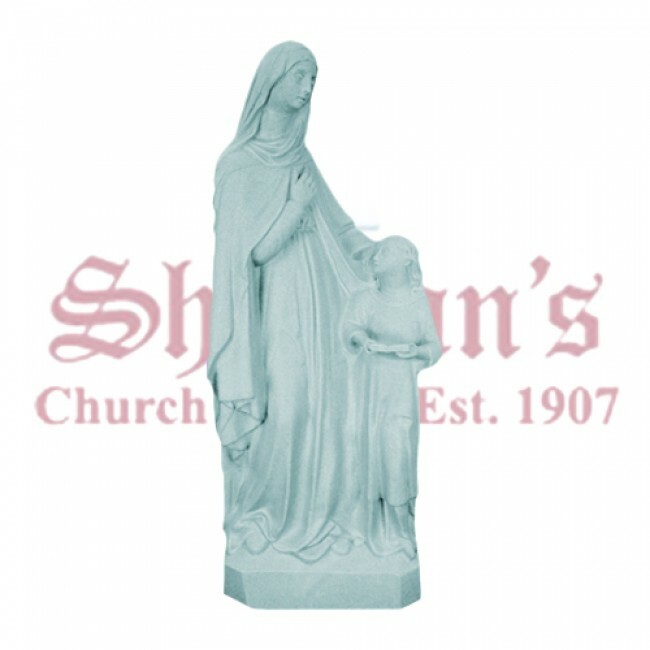 The beautiful Anne outdoor statue by Space Age Plastic is made of high-quality vinyl for years of maintenance-free enjoyment. 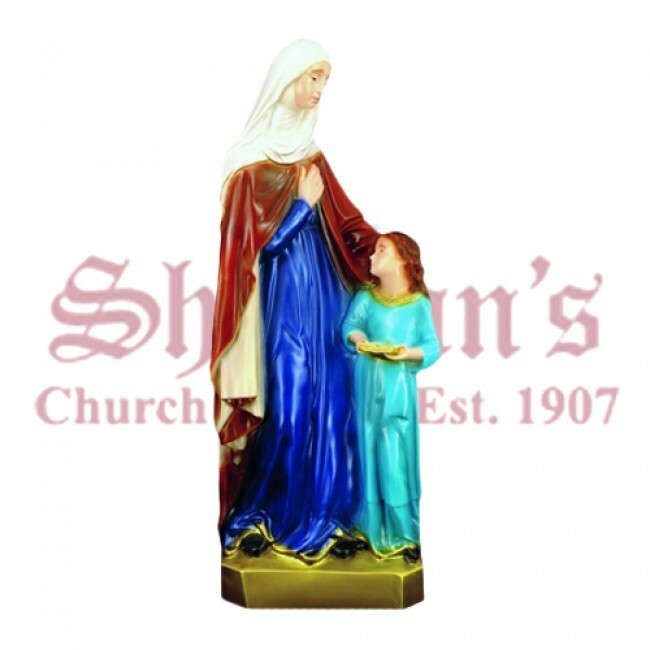 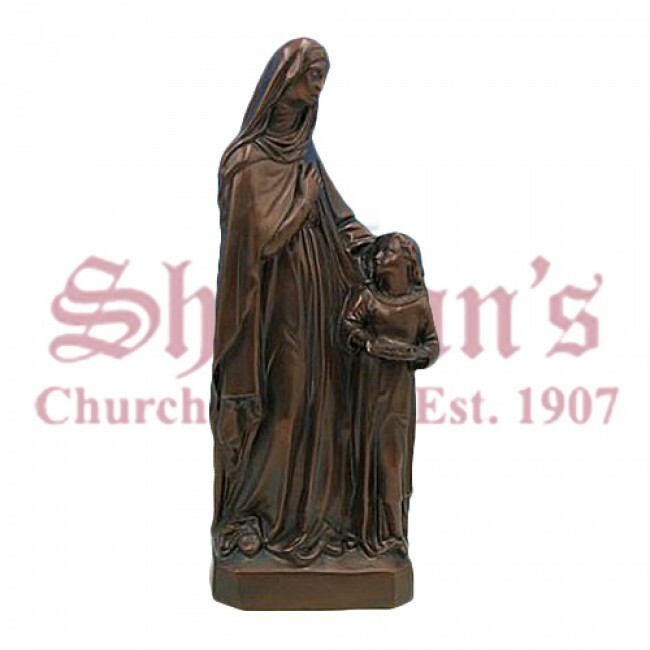 The statue of St. Anne and Mary is ideal for indoor or outdoor use. According to tradition, the statue's subject, Anne, was of advanced age when Mary was born. Mary was Anne's only child and was given to the service of the Temple when she was just 3 years of age. 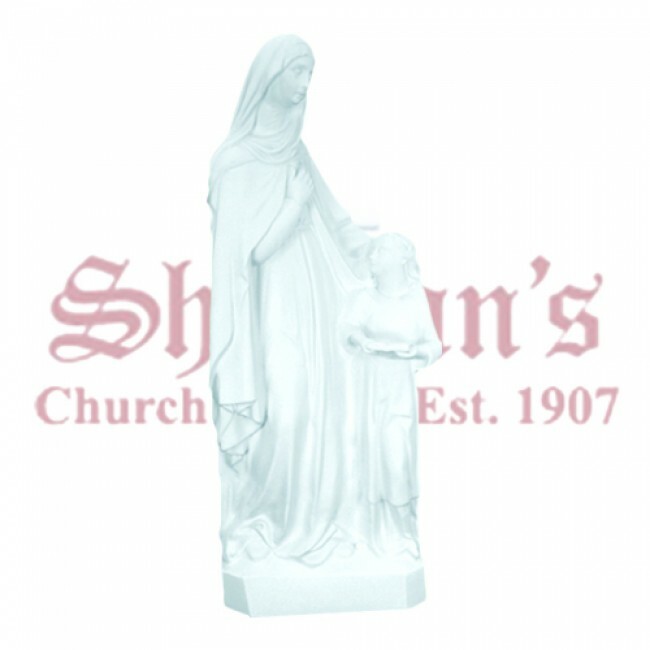 Mary went on to become the mother of Jesus.